Important Announcement from the ASUHSOO Communication Department. Thank you for reading Here’s What I’m Thinking. Why you take an interest in this is beyond me. However, your assistance is requested. There is a box at the beginning of an entry that allows you to comment. When you click on link another boxes will appear that allow you to provide feedback. 1. There is a box to check if you like the entry. While it is not necessary to like an entry, if you do find it amusing CHECK THE BOX. 2. When you check the comment box, there is another box at the end of an entry that allows you make a comment. YOU DO NOT HAVE TO USE YOUR REAL NAME. The only person who knows the source of the comment is me and most of the time I am unable to tell from your email address. 3. There is a box at the end of an entry that allows you to be notified when there are new entries. CHECK THE BOX. This will keep you from getting behind. Remember some of these are current events. Therefore it is imperative that you stay current. If you are unable to follow these directions, please call some one in India for technical assistance. If you are unwilling to following these directions, consider yourself like most people who have little interest in the educational institution, including parents. The As Yet Unnamed Home School of One (AYUHSOO) issued a Request for Names on October 19, 2010. Since that time three official names were submitted according to the directions. Several other names were submitted through nontraditional means. However, given the dearth of names the Request for Names deadline has been extended to one week from today – November 26 2010. In an effort to stimulate your creativity the names submitted plus others are listed below. As noted in the RFQ in the event a sufficient number of names are not submitted an alternative selection method will be employed. This method, known as FVM, or feline vomitus method, will be used. In the event this method does bring the desired results, the selection method deployed by King Richard of Hairspray will be used. I will pick my favorite submitted by my friends. As promised the names submitted are listed below. Let’s see you top these. Otherwise I will overfeed the cat to ensure a sufficient quantity of projectile expulsions. Write an essay explaining how the Texas A&M football team can win the Big 12 South. For the Aggies to win the Big 12 South, Oklahoma must beat Baylor on Saturday and then the Aggies must hope for a three-way tie between the Oklahoma State University and Oklahoma. Additional factors include a full moon with Jupiter aligned with Mars that causes the BSC computers to be infected with a hacky virus. Last, but not least there will be the second coming of Bear Bryant. If the factors mentioned above do not align, I feel certain knocking the Texas Longhorns from a bowl experience will suffice. EDU 601 – What? You thought the Home School only went to Grade 12? Wrong. Assignment: Design a first day orientation professional development for the incoming freshman of the United States Congress. Good morning and welcome to Washington D.C. the seat of the government of the United States of America. This translates in any language to the greatest democracy and greatest nation in the world. My name is Brenda Redwinestein, your lead instructor. Will the 87 of you newly elected representatives open your government provided IPADs and open the file titled Opening Remarks? This contains academic and biographical information about your instructors. These slides will also serve as an introduction of the agenda. As you can see from the PowerPoint slide with my bio on it that I graduated from Stephen F. Austin State University, Sam Houston State University and Texas A&M University. A question from the representative from Texas? No, I did not attend the George H.W. Bush School. It was a pig farm when I attended. After our introductions I will begin by presenting The Difference Between C-a-p-i-t-A-l and C-a-p-i-t-O-l. Capital is The Place. Capitol is the Domed building. We are fortunate today to have with us Dr. Wing Flung Doo from Taiwan. Dr. Doo will give you a tour of the tunneling infrastructure in hopes you will be able to find not only your office, but you will be able to find your way from your office to the House of Representatives located in the south wing of the Capitol. Note you have a map on your IPAD. Also with me today is Dr. Lydia Rivas-Buffet, Economics Professor at Massachusetts Institute of Technology. Yes, the representative from Florida? No, she is not Jimmy or Warren Buffet’s adopted child. Dr. Rivas-Buffet’s family for three, no four generations, are formerly from Arizona. They all live in Texas now. Dr. Rivas-Buffet will demonstrate basic mathematical principles of addition, subtraction, division and multiplication. A critical understanding of basic mathematical operations will be vital for budget discussions. Other numerical examples are: There are 87 of you and 348 of Them for a total of 435. While this means you newbies are representing one-fourth of the representatives, it also means three-fourths are seasoned politicians. Dr. Rivas will also conduct a statistical analysis of the likelihood that any of you will be appointed to important committees and that any of your agendas will be heard. Also on the instructional team is Oprah Winfrey Washington. Like her name sake, Ms. Washington knows everybody you will need to know. This includes secretaries, staff members, members of the opposition, lobbyists, special interest groups and political action committee members. She will instruct you on Tweeting Without Legal and Career Ending Ramifications. The man in the burgundy satin tights, silver sequined vest and pink feather boa is Dr. Curtis J. Matthews from the prestigious New York school – Political Preparation for Drama and Theatre. He will assist this week, not only in wardrobe selection, but is responsible for the role playing activities to prepare you to interact with the lobbyists, special interests groups, lawyers, bar tenders, prostitutes, homosexuals, pro choice, anti choice, big government, liberals, conservatives, libertarians, librarians, lesbians, Lebanese, tree huggers, whale-savers, rain forest lovers … you can continue the next two slides to see others you will need to deal with. Open the file on your IPAD entitled THE DOCUMENT. Read the United States Constitution. I know for some of you, especially the three dozen of you who have never held an office, this will be difficult. Please read the entire document and not just the parts you spout out of context. Please note there are more amendments that the first two. Be prepared to answer “What are the duties assigned to the House of Representatives?” Make a grid showing your agenda and which constitutional duties of the House they fall under. In addition be prepared to discuss “How A Bill Becomes Law” and “How an Amendment Becomes Law” Assignments without timelines will not be submitted to the Speaker of the House for consideration. We hope you have a great time in Washington. In summary, look at it this way. You have no plans to compromise. Your fellow Republicans have no plans. So you can’t be too far apart. Good luck. May The Force you think you are, Be With You. Are there any questions before we dismiss? When do we get to meet Sarah Palin? The As Yet Unnamed Home School of One is back in session this week. Like many home schools much of our curriculum is community oriented and with real world outcomes. Oops, sorry that sound way too much like out-come-based learning which is part of the State Board of Education’s anti federal government plan. On Monday, the AYUHSOO Golf team participated in the First of Greater Austin Golf Tournament at Lost Pines Resort in Bastrop. Not only was a significant amount of money raised for the First Tee, take a look at who I caddied for. 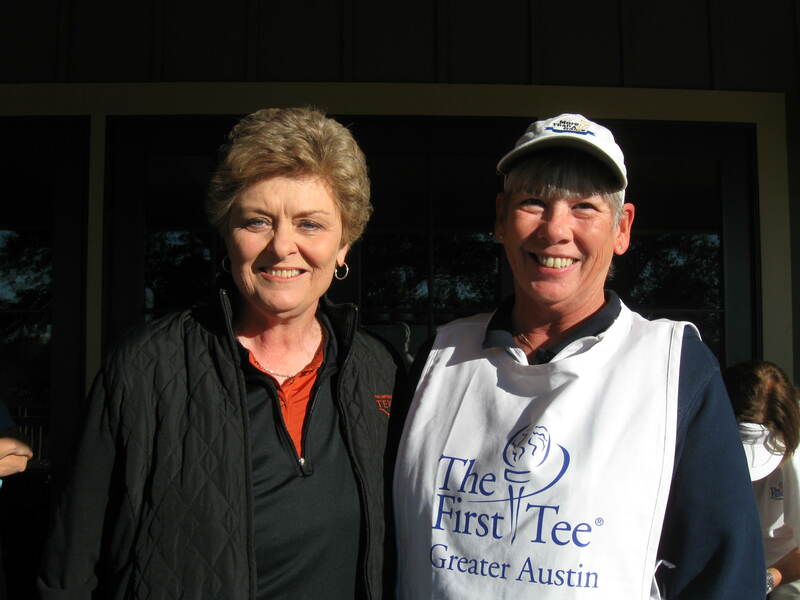 Many of you recognize the former Lady Longhorn basketball coach, Jody Conradt. She is a delightful person and pretty darn good golfer. 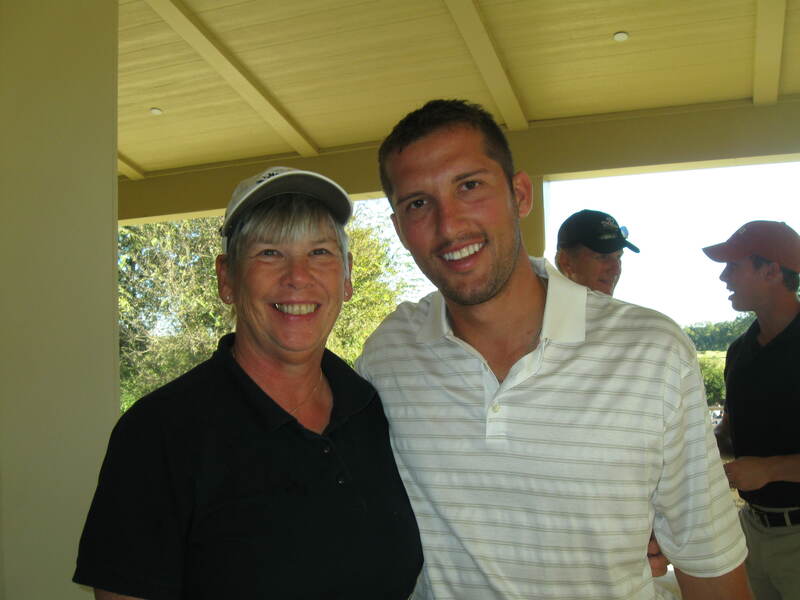 At the same event I had a photo snapped with former University of Texas All American baseball player, Huston Street. He is currently with the Colorado Rockies as closing pitcher. He served as Honorary Chair of the Event and is just a hottie. On Tuesday, I had to recoup. I don’t remember Wednesday, but Thursday was Veterans Day. I hope you took notice. By then it was Friday and I was so anxious about Saturday I could not sit still. Besides it is difficult to coordinate a maroon and white and green and gold ensemble. On Saturday night I saw two great teams compete. 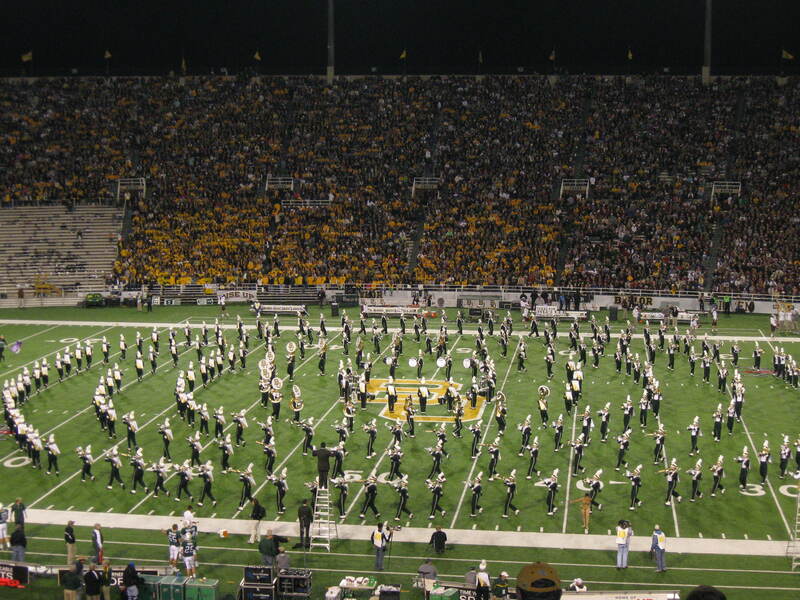 Baylor and Texas A&M. Usually, these two teams hold up the cellar of the Big 12, but things are different this year and these are two teams to watch in future. 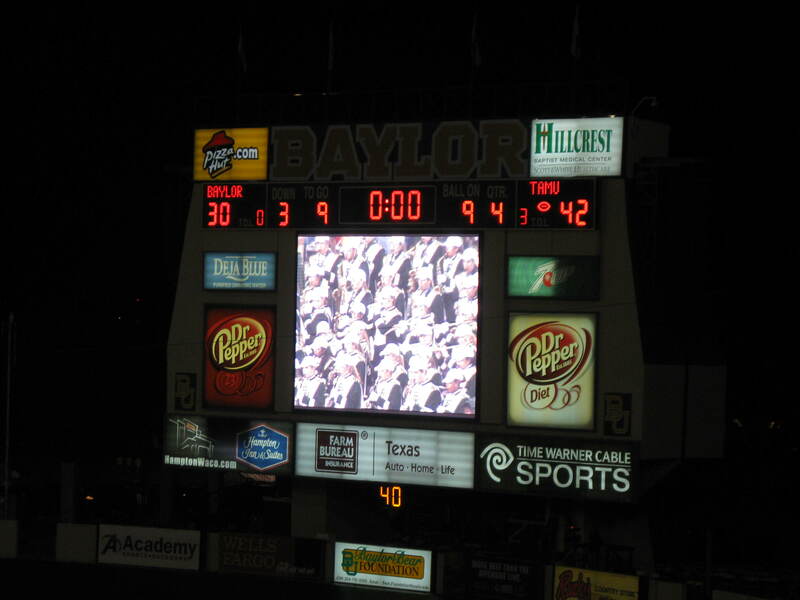 Baylor won the first half and Texas A&M won the second half. Unfortunately, that is the half that counts. Big Aggie Whoop! The next day it was back to Austin and time for the Home School to begin again. So let’s begin with a little warm up essay about the trip home. I am not certain why Central Texas needs a Formula One Race track. I mean there is a perfectly good and even more exciting race track in existence. It is called Interstate 35. Yesterday as I drove back from Waco I experienced being an integral part of my own personal video game of Donkey Kong. SUVs of every make, model, color and year were racing in and out among the 18 wheelers. There were barricades to the left creating a two- lane race track with no shoulders to the right. Trucks of every size and capacity hauled trailers carrying animals or yard equipment or other large items in a wheeled trailer dragging behind their vehicle. I enjoy playing the Get Your Wheels Out of My Lane game. I especially liked the trailer being pulled behind a vintage car. Both seemed to have been pulled around since Reagan was President. And did I mention the eight motorcyclists on crotch rockets whizzing past at speeds greater than 100 mph? I know this because of my speed. I was glad to exit to the toll road to slow down to 70 mph. But here’s what I’m thinking. Why do we need another race track? How about instead some yard chairs, a few food trailers and several porta potties placed periodically along I-35. Maybe some bleachers at a few selected intersections and entry ramps? I am certain the 500 yard entry ramps can cause some spectacular results as cars try to merge into traffic bearing down at 85 mph. I can hit a golf ball farther than some of the entry ramps. Oh well, what do I know? Maybe we do need a fancy race track and not the trees. Maybe we do need to pave the countryside and pollute the air. Nevertheless, sit back and catch up with the ASYHSOO this week starting with Happy Days. 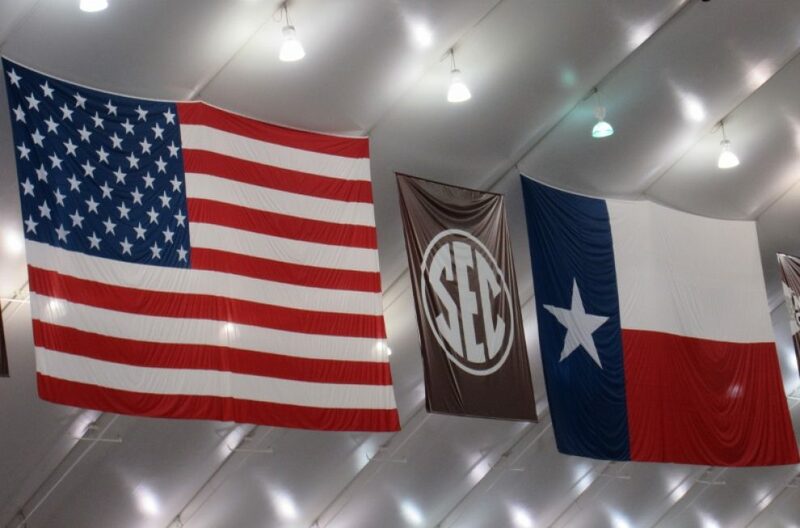 Tuesday, watch for a Professional Development design for the new United States Congressmen, and on Wednesday, the school will practice its assessment by writing a paragraph on How the Aggies Can Win the Big 12 South. And late in the week new, important information will be posted regarding the Request for the Names of the school and mascot. Ah, the Franklin Roosevelt campaign song. Franklin Delano Roosevelt the first Socialist president of the United States. FDR and the New Deal. FDR – Democrat, creator of Social Security. Lyndon B. Johnson – Democrat, creator of Medicare. You Tea Partiers like those benefits don’t you? You are OK with that from the big, nasty, federal government, aren’t you? I am singing today because I am filing for my social security benefits. Yes, I know those of you out there are thinking, why she certainly is not old enough to file. This will be my second retirement government check. So I am quite content to do nothing except keep you mildly entertained. Why am I filing at the first age eligible opportunity? 3. The money runs out. Whichever of these come first or collide, I am taking the money and running now. See ya! On “the 11th day of the 11th hour of the 11th month” . . . and all of the days, hours and months thereafter, I thank you for the freedom and peace you bring to my world. 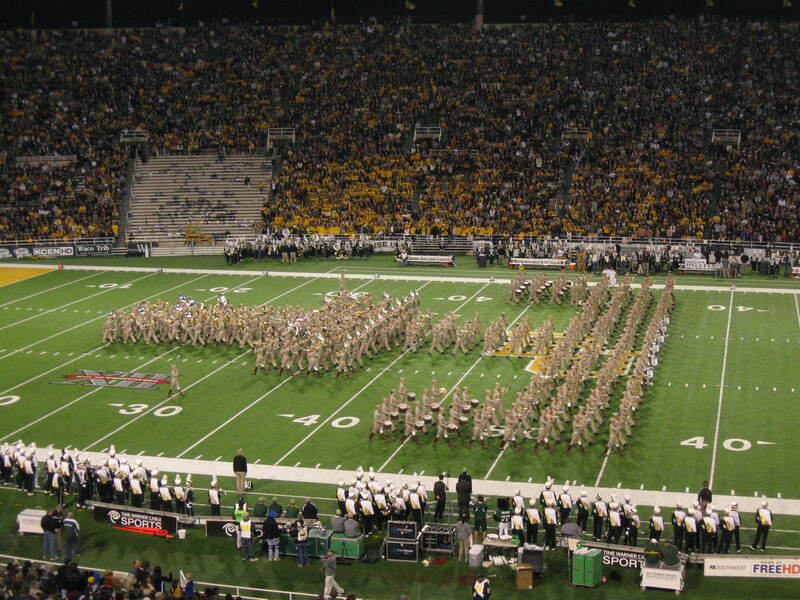 Honor a veteran today and always. OK – as of this date – All Saint’s Day – November 1 – there are only a few names submitted for the As Yet Unnamed Home School of One. I am aware that many of you have been gallivanting around the globe and seeing the spacious skies and purple mounted majesties. Some of you have been wasting away in Margaritville in Pacific coastal beach resorts. And at least one of you is finding your inner peace in Peru. But many of you have returned and there is still plenty of time to submit a name for As Yet Unnamed Home School of One. So I know on the deadline day – Daylights Savings Time Ends – there will be a flurry of names submitted for review. Right? Now get busy. As in the real process a Frequently Asked Questions document is available at the half way point. 1. Q. Do I have to follow these instructions? A. Obviously not, since only a few names have been submitted. 2. Q. Can I suggest a name to you on the golf course? A. Yes, write it on the score card. 3. Q. Can I submit my name to you at a bar? A. Yes, but write it on the coaster. Not the cocktail napkin. It is sturdier and has a better liklihood of getting to my house. 4. Q. Can I submit my suggestions via my work computer? A. Probably not your best move unless you plan to leave soon or your suggestion is the Big Brother Academy of Misinformation. 5. Q. Can I submit my suggestions via text message? A. Yes, but not during the World Series or NCAA football games. I am too busy texting my friends and family. 6. Q. Will a list of names that are submitted on golf score cards, bar coasters and personal emails and texts be made available to the public? A. Check later in the week for submitted names. Perhaps one of them will spark your brain to submit something equally as clever. 7. Q. What happens if there are not enough names submitted to name the school? A. In the event, you the home school constituency does not submit a sufficient number of names to review OR if the Review Committee Refuses to Review, the following alternative selection process will be implemented. A super size 4’ X 6’ grid similar to a standard BINGO card will be designed. This is the same size as the indoor/outdoor rug in my dwelling. In the squares submitted names will be placed. The AYUHSOO Board President, Buddy T. Cat will make the selection. Mr. Cat will vomit on the grid. The square with the hairball will become the name of the school. HEY! What’s wrong with that process? It’s the same one King Hairspray uses without the vomit part. He just picks his friends and contributors with no process.